These days if you look toward the west after sunset you’ll see a bright star that’s the first to appear in the sky – except it’s not a star at all but our neighboring planet, Venus. Covered in a dense layer of thick clouds, Venus not only reflects a lot of sunlight but also keeps its surface well concealed from visible-light observations. 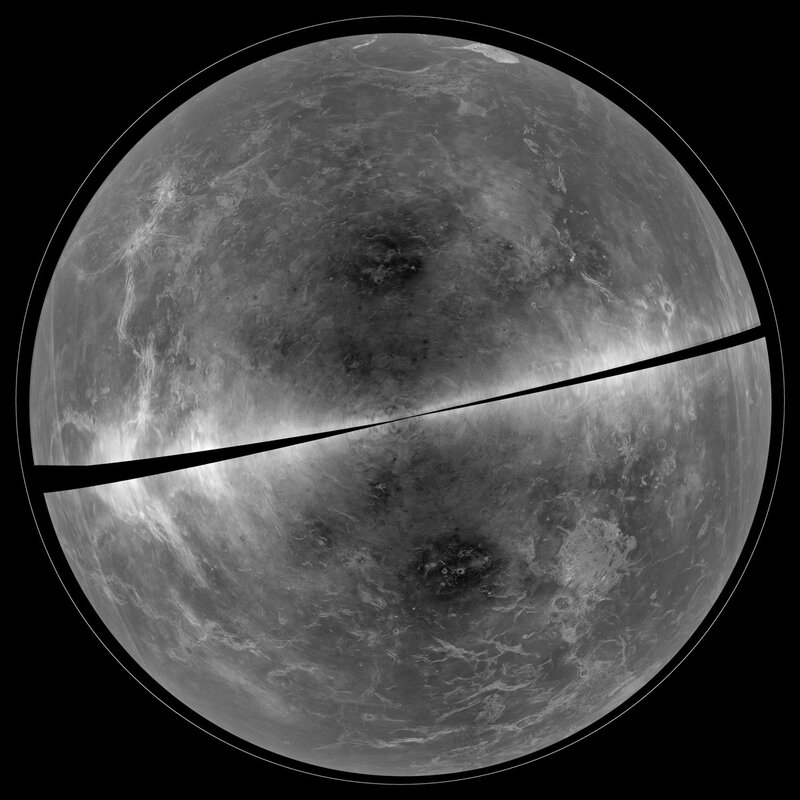 But with the capabilities of powerful ground-based radar observatories, scientists have been able to make global maps of Venus from right here on Earth… no rockets necessary!